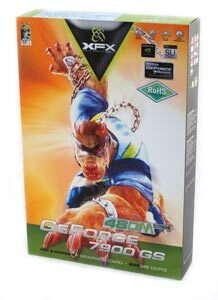 XFX's card comes slightly overclocked, so in order to provide a look at standard 7900 GS performance we used the Coolbits registry tweak and forced the card to stock clock speeds. We will include both the stock and overclocked results in our performance testing. The 480M Extreme comes with a 480MHz core clock and a 700MHz (1400MHz data rate) memory clock. Here's a quick look at the XFX card. While the sleek black PCB and XFX logo will obviously be different depending on the manufacturer, we can expect the same basic card design to carry over to other manufacturers. It should come as little surprise that the 7900 GS PCB is identical to the 7900 GT PCB, as is the heatsink. By sticking with the same circuit board, NVIDIA is able to keep board costs down as well as decrease the time to market. All of the features for the 7900 GS are also the same as the 7900 GT. PureVideo/PureVideo HD are supported, up to XHD resolutions (2560x1600) are possible, Shader Model 3.0, HDR, transparency antialiasing, and SLI support are all features of the G70/71/73 series of GPUs. HDCP support is also available, but the actual implementation is left up to the card manufacturers. In order to take advantage of HDCP output, you will need a card with an HDCP chip, an HDCP monitor, and a media player that supports the standard (InterVideo and CyberLink both have players available for Windows XP, while Microsoft will wait for Windows Vista to include built in HDCP support). As we mentioned, this is a very crowded market and there's definitely overlap between many of the products offered. In order to help keep things straight, we've created a table showing the features and specifications of the various cards we will be testing, along with the 7950 GT which we will test in the near future. 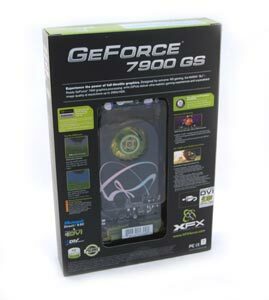 The 7900 GS is identical to the stock 7900 GT in clock speeds. The difference is that it comes with one less vertex pipeline and four fewer pixel pipelines. It also comes with an MSRP of $199 compared to $299 for the 7900 GT, so while it may offer slightly lower performance, the difference in price appears likely to make it a more attractive card for many people. In raw pixel processing power, the additional pipelines make the 7900 GT potentially up to 20% faster, which is in line with the price difference we expect to see. We will take a closer look at how the GT compares to the GS later to see if this approximation is accurate.